The government of Canada and the N.W.T. government announced on Monday they plan to spend nearly $3.4 million on preliminary work for a proposed all-season road to a region of the Northwest Territories believed to be rich in minerals. ... The proposed all-season access corridor through the region is a two-lane gravel road that's about 413 kilometres long, according to the government's website. 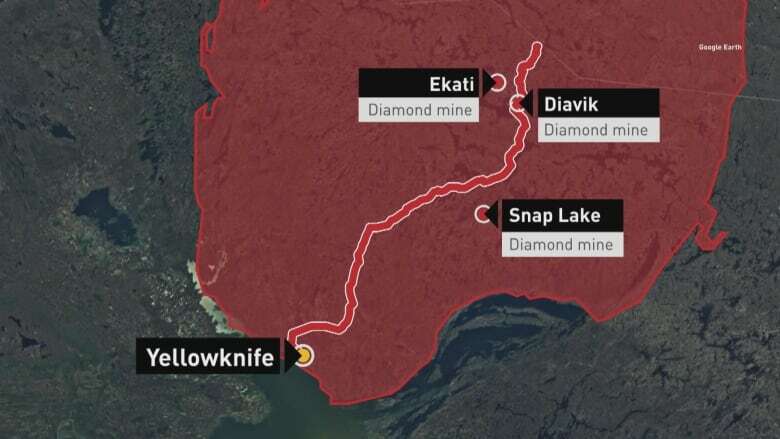 The road would connect major mines in the territory and, the hope is, ultimately to a deep-water port in western Nunavut, it said. This is major because even if only the part shown in the image is built, it would make it possible for the first time ever to drive to Nunavut (the project's scope ends at the border between the two).